All that is old is still gold and hence the vintage designs are most sought after, especially if they are free as these. These logo designs may come in various themes which can be customized to contain your own words and contents. They can be used as product logos, website logos, personal logos etc. The PSD files allow easy customization simply using Adobe Photoshop CS versions. the free logos that are available for modification are generic and can be used for various products/purposes upon smart editing. 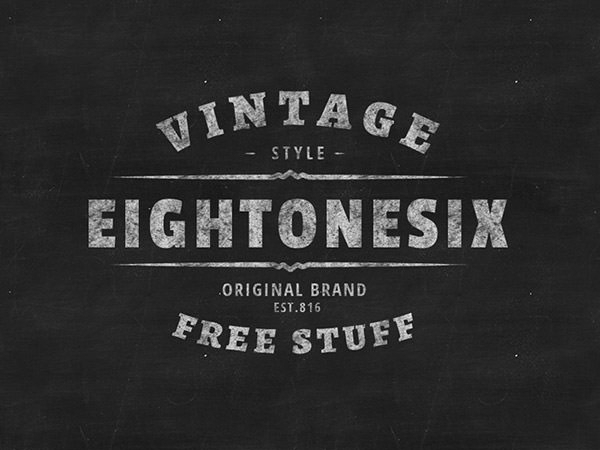 Vintage insignia logos are back with a bang holding hands with Typographic logos set in olden themes. these templates are completely free and devoid of any overhead charges. So simply open the designs in any version of PS or Illustrator and start tweaking for obtaining your desired results. You can group or ungroup the elements for easy editing and simply change the opacity or intensity of hues for easy changes. The logo badges can be hence edited to contain your own designs, colors, backgrounds, images and texts without much hassle. Making the logos was never a difficult task, but the easy editable format of the small files makes it an even easier task. Now the 70+ vintage logo designs are free and contain nuances of retro designs and pop art as well, while preserving the main essence of vintage themes/designs. You can save all the steps of your editing and also the final file without removing the stock. Download, edit and publish your work for the rest of the world in just a few minutes by using this amazing collection of free vintage logo designs.